An event to raise cash for Stone Bay School in Broadstairs will be held on International Women’s Day. 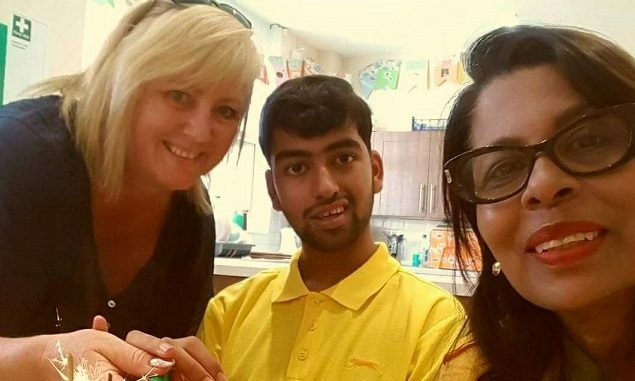 The fundraiser is organised Raushan Ara, a Ramsgate businesswoman and mum to son Junayd, who has special needs, and takes place on March 8. Raushan has supported various charities on International Women’s Day in past years but this year has decided to help the school raise funds for the development of a new communication base for special needs students. The enhanced provision will ensure a strong focus on supporting communication, interaction and attention skills for the students. There are many resources the school would like to buy to support some of its most learning disabled students. The event, at the Ramsgate Tandoori between 12.30pm and 3.30pm, will include food, speakers, a raffle and entertainment.Donations (including of raffle prizes) will be gratefully received. Minimum donation £10 per person. Guests are welcome to bring an ethnic dish that represents their culture to share.